Several online polls have declared former President Olusegun Obasanjo as the best Nigerian president since 1999. 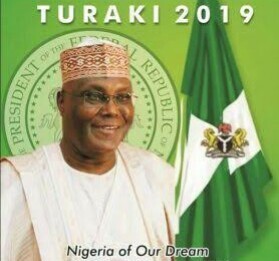 Now the PDP presidential candidate, Atiku Abubakar, is keying into that record of performance, since he was Obasanjo's vice president. Speaking their settlement meeting yesterday, Atiku said, “This visit is an historic one for both of us and for this country, because, as I have said last Sunday, I paid tribute to him(Obasanjo) because I couldn’t have been what I am today without his wise counsel, without his picking me as his Vice-President for eight years and without the training I got from his tutelage and his leadership.